Simon Collins who previously worked as the Asia-Pacific Creative Director at Nike co-founded WeDesign, a digital platform that houses interviews with founders, academics, and experts on all things art and design. It’ll now also host content on sustainable fashion. That’s where this new online platform hopes to fill a gap: giving aspiring entrepreneurs in sustainable fashion with essential knowledge and a community that they can tap into for references, tips, and know-how. The funding for this online content has been provided by the Yue-Sai Kan China Beauty Charity Fund (CBCF). 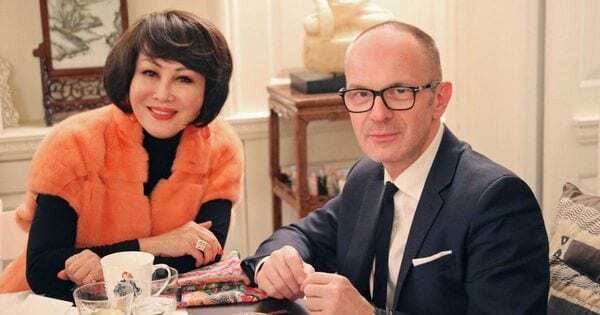 The organization has an annual China Fashion gala, which raised money to fund this new initiative, officially titled the CBCF Executive Education in Sustainable Fashion program. This year’s gala, held on May 1st in New York City, will honor Taiwanese fashion designer Jason Wu. Collins is convinced that China, which has been such a manufacturing powerhouse for the past two decades and often questioned for its working practices, could actually be a blueprint for sustainable manufacturing practices in the next decade. But is it that simple? For large companies, pivoting in a new direction, changing supply chains, and working with new manufacturers, or even working with the same ones but demanding higher standards, can be challenging. So how will this actually transcend the digital world into real-world change? “This is not a sequential course. It’s continued learning, where you can dip in and listen to one of the conversations and then bounce to another. We’re hoping that these conversations lead to a spark and show viewers that this is real. These are actual success stories to get people to think about how they can be a part of it, or replicate it,” McCarthy says. His hope is that the WeDesign platform will bring together a community of students, execs, designers, and even manufacturers. “Right now, all the conversations are happening in very segmented ways, and we’re hoping to bring all that together. In fact, I see my role professionally as far more of a connector these days,” he adds. But in the efforts of teaching entrepreneurs and CEOs how to become more sustainable, are they leading them down a tricky path? Realistically, manufacturing comes with its negative externalities. “No one can be 100 percent sustainable. And we’re aware of that. But we’re pushing these individuals to think about having more measured outcomes, making that change, and focusing on the tangible steps that can be achieved,” McCarthy clarifies.